Nine of the world's top jockeys - including American Hall of Famers Jerry Bailey, Pat Day and Kent Desormeaux, as well as European stars Frankie Dettori and Kieren Fallon - will face off in Thursday's International Jockey Championship at Lone Star Park in Grand Prairie, Texas. The three-race competition also includes two-time NTRA All-Star Jockey Championship winner Edgar Prado, seven-time Breeders' Cup winner Jose Santos, leading Irish jockey Jamie Spencer and French champion Christophe Soumillon. "The addition of foreign riding greats to our already popular Jockey Championship will only heighten the tremendous amount of excitement during Breeders' Cup week," said Lone Star Park President Corey Johnsen. "To have a field of world class jockeys compete here Thursday seems a fitting way to kickoff the racing week that leads up to the World Thoroughbred Championships." Grandstand gates will open at 11:30 a.m. CT Thursday and the first live race is set for 1:35 p.m. CT. 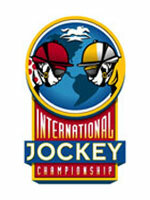 The International Jockey Championship starts with Race 6 at 4:15 p.m. CT and continues with Race 7 (4:45 p.m. CT) and Race 9 (5:45 p.m. CT). The jockeys will sign autographs in the paddock area from 11:30 a.m. to 12:30 p.m. In addition, there will be a jockey introduction ceremony on the main track prior to the first International Jockey Championship race. Thursday also marks the inaugural running of the Lone Star Park Juvenile Fillies and the first day of advance wagering on Saturday's Breeders' Cup World Thoroughbred Championships at Lone Star. A four-member selection panel chose the international competitors: Cash Asmussen, former champion jockey in France and a native Texan; Joe Joyce, longtime racing executive; Chick Lang Sr., Senior Racing Consultant for Lone Star Park; and Darren Rogers, Director of Communications at Lone Star. The five American riders are all past participants in the NTRA All-Star Jockey Championship held annually at Lone Star since 1997. Prado is the only two-time All-Star Jockey Championship winner (2000 and 2003). Prado (1999-2004 participant) and Day (1997-2001, 2004) will become the event's first six-time starters. Bailey, the 2001 All-Star Jockey Championship winner, is a five-time participant (1997-'99, 2001, '03). Desormeaux is making his fifth appearance (1997-2000, '04) and Santos his third (2000, '03-'04). The four European riders - Dettori, Fallon, Soumillon and Spencer - are all first-time starters at Lone Star who have mounts in Saturday's Breeders' Cup. Other past Jockey Championship winners are Gary Stevens (1997), Shane Sellers (1998), Laffit Pincay Jr. (1999) and Chris McCarron (2002). The jockey with the most points at the end of the unique three-race competition is crowned champion. Riding assignments were determined by a drawing Saturday and jockeys receive points for finishing first (12 points), second (6), third (4) and fourth (3) in each race. Scratches, non-starters and no contests earn 1 point.